There are few things that can compare with the ecstatic feeling of being in love. And of course, marriage seems like the icing on the cake for such persons. Infidelity: Cheating on a spouse is about the commonest factor that brings about conflict in homes. This is because it is seen as a direct betrayal of trust, which is often hard to repair. Findings have shown that men find it difficult to forgive a cheating wife. They believe it affects their masculinity, the possibility that they might not even be the father of their children and such thoughts that flood their minds. These make some men to file for divorce while some simply keep a distance from such women. Poor communication: In the past, people hardly saw communication as an ingredient for a successful marriage. People would rather bottle up their emotions and dissatisfaction about the actions and inactions of a partner instead of opening up, until things get worse. It also provides a fertile ground for (wrong) assumptions and frustration, which they sometimes term ‘irreconcilable differences’. This explains why marriage counsellors often say good communication is the secret to a successful marriage, because it enables both parties to raise their concern and creates a platform for resolution. They have also noted that when communication breaks down, the union is heading for the rocks. Barrenness: This is one major reason people walk out of their marriages. Childbearing is largely seen as a ‘must’ for couples in this part of the world and so their inability to have children could signal the end of that union. From findings, this had led to the crash of many marriages, because sometimes, people, especially men, are compelled to try new partners. And when a man takes a new wife, it oftentimes takes the first union to an abrupt end. Abuse: This is one other reason people run for their dear lives. It could be in form of physical, emotional, verbal or s*xual abuse, all of which oftentimes subject the victim to deep trauma. The impact is almost the same with people who live with partners that are hot-tempered. 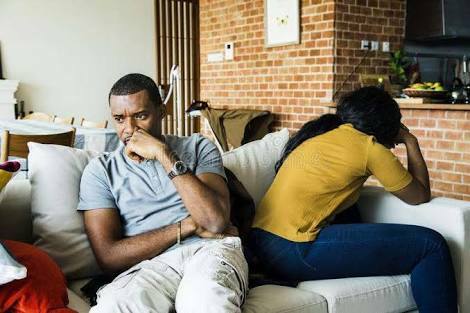 Given the serious impact it could have on the psychology of such persons, marriage counsellors often advise intending couples to watch out for the trait in their partner. Unrealised expectations: No doubt, people go into marriage for different reasons and expectations. When those expectations are not met, they tend to feel frustrated. In some cases, that is the beginning of a trouble, because they tend to vent their frustration on an unsuspecting partner who could have their separate worries. According to some experts, marrying too early, marrying to satisfy s*xual urge, to show appreciation, to douse pressure from parents, to feel among, especially when there is a feeling of being left behind by contemporaries, among others, are some of the common “wrong” reasons people marry. They said relying on these alone could come with a high risk of failure, because after some time in marriage, they tend to see that there is more to that lifelong union than those one or two expectations. Marriage counsellors have also advised that people should moderate their expectations when going into marriage, to avoid utter disappointment if those expectations are not met. Strange habits: It is not uncommon for people to pick up strange habits, like taking alcohols, smoking, homos-exuality, after they are married. Usually, it is either that they were able to hide or manage it from their partner during courtship or they picked up the habit newly. People who are unable to cope living with such persons tend to become frustrated, especially if they can’t get the person to drop that habit, and so some end up leaving the marriage. Overbearing in-laws: In this part of the world, in-laws are seen and treated as an integral part of marriages. Thus, their actions and inactions could sometimes influence the success or otherwise of any union. “Issues of in-laws are a very potent factor, and so people need to pay attention to it."